Want to Know Why What You Eat can Heal You? Traditional Chinese Herbal Medicine is a deeply complicated topic that requires years of study to truly comfortable in navigating. However, the beauty of Traditional Chinese Medicine is that the essential principals upon which it is based is easily communicable and can be understood quickly by everyone. 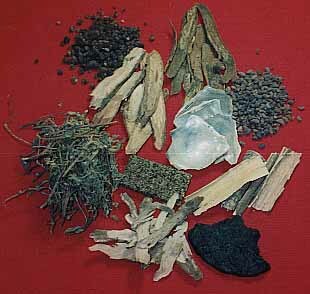 With that in mind, let me introduce to the fascinating and incredibly beneficial world of Chinese Herbs. Traditional Chinese Herbal Medicine has been used in conjunction with Acupuncture or as a standalone treatment for thousands of years to help in the healing of physical and mental disorders. As one of the primary branches of Chinese medicine many people find herbs to be an excellent addition to their treatments, as they provide a quick and effective results when used skillfully, supporting and enhancing one’s health with no side effects. By contrast the Traditional Chinese Herbal Medicine is focused on strengthening the foundation of one's health rather than just patching things up. In this manner herbal medicine works from the inside out; it treats the core issues that underlie our symptoms, which will either sooner or later rectify the symptoms themselves. Western drugs on the other hand work from the outside in. They offer immediate symptomatic improvement without directly addressing the deeper cause of the symptoms. Chinese herbal medicines address the underlying causes of illness and they rarely cause unwanted side effects. In my clinic I only prescribe Chinese Herbal medicines which have been tested and re-formulated by reputable Western companies. These herbal formulas come in several forms including capsules, tablets and liquid tinctures. I also use topical liniments and plasters which are very helpful in reducing pain, inflammation, swelling, and speeding the healing process. I will also frequently prescribe and provide recipes for tea’s that can be used to treat a number of conditions made from simple everyday herbs and roots. The joy of the herbal system is in their versatility. One single formula can be prepared to treat a condition such as infertility and resolve the myriad by products of that diagnosis such as PMS, cramping, muscular pain, frustration and depression etc. When the root cause of the disharmony is addressed all of the symptom s associated with improve and disappear. If you have any questions or concerns regarding Traditional Chinese Herbal Medicine or wish to start a course of treatment then please feel free to contact me or make an appointment where we can discuss any specific concerns or questions you may have. You have been reading about Traditional Chinese Herbal Medicine. It may interest you to read the second part of this article - How does Traditional Chinese Herbal Medicine Work Here.